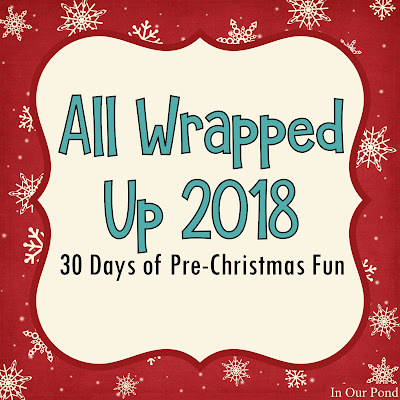 Over on my other blog (In Our Pond), I've been doing a 31 day countdown of pre-Chrstmas fun called "All Wrapped Up." 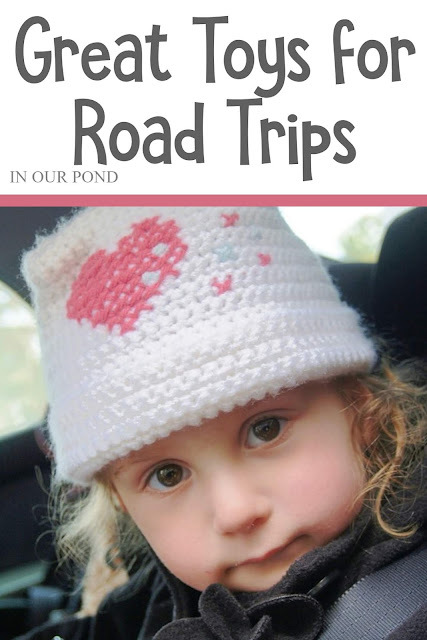 After consulting with my kids, they decided that I needed to do a road trip toys post. Most of these toys are also good for hospital stays, wait times at restaurants, airplanes, hotels, grandma's house, and more. Let me know of your favorites in the comments! 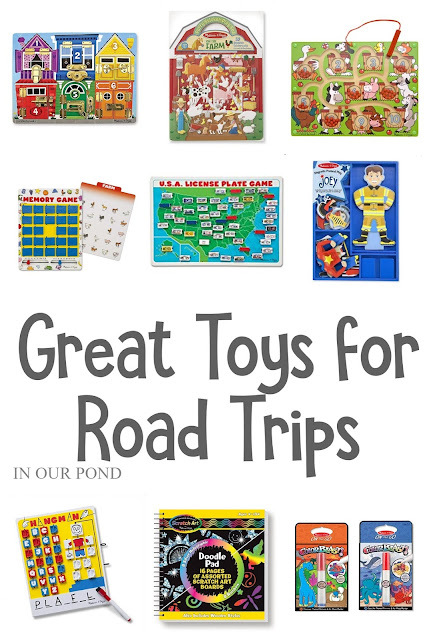 Melissa and Doug has a lot of great toys that are perfect for road trips and travel. My kids love their Latch Board and are always asking me to buy the whole set. Similarly, the Magnetic Maze Board is a self-contained activity that's great for many ages. 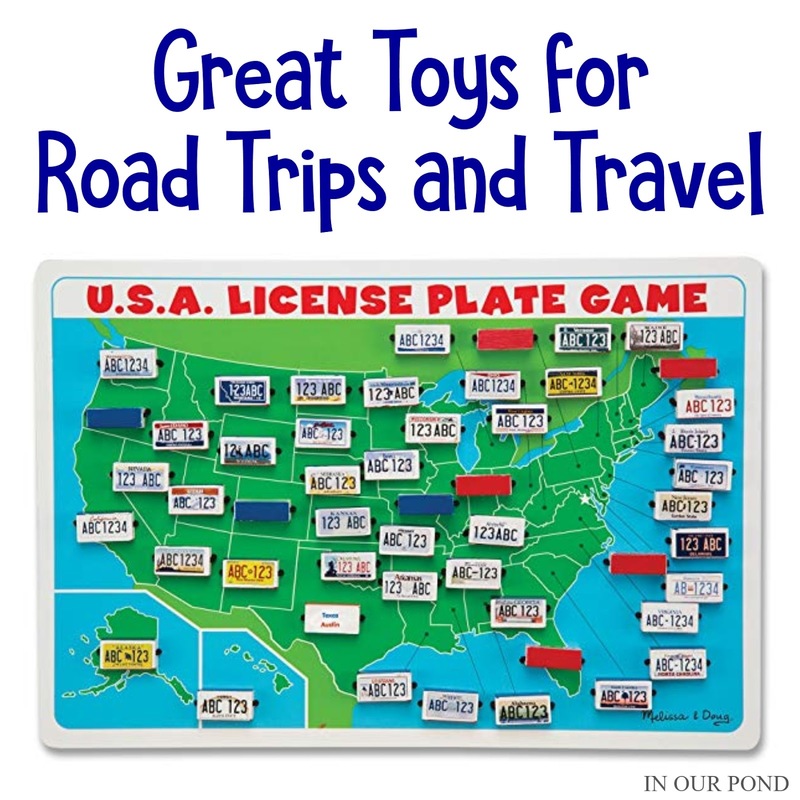 Melissa and Doug also makes a lot of classic games like Travel Bingo, this adorable Hangman board, and a flip-over License Plate Game that are reusable and durable for use over and over. The Reusable Sticker Books have lots of pieces, but invites a lot of pretend play with themes like castle, farm, jungle, and more. For kids that enjoy paper dolls, the Magnetic Dress Up Dolls are a great reusable option and also come in lots of themes. For mess-free art fun, the Magicolor Activity Books and Scratch Art Doodle Pads are great, especially for wait times and restaurants. Tap each individual link to see each product. 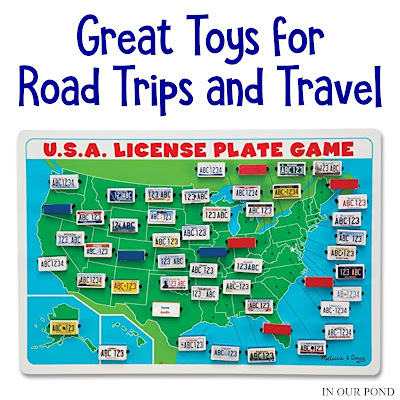 There are, of course, many travel toys that are not made by Melissa and Doug. Magnetic toys are especially good for the road, like this colorful Tangram Puzzles or this all-in-one Magnetic Doodle Board. 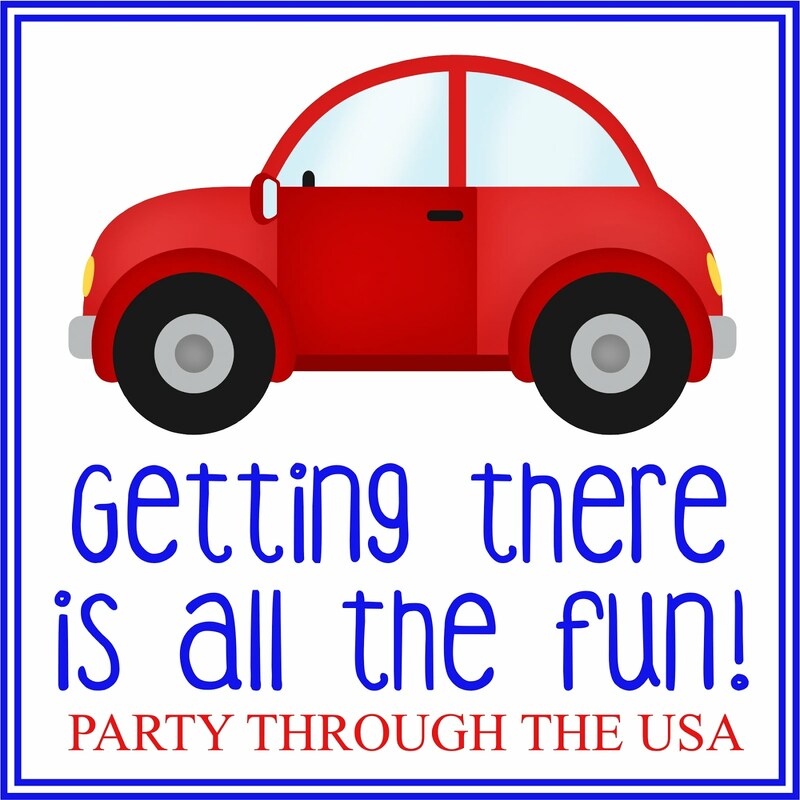 A car load of people can all play this Travel Scavenger Hunt game together, which should help with the are-we-there-yet syndrome. Younger children will enjoy the challenge of Wood Lacing Toys or one of these Buckle Toys. Older children will probably enjoy this pocket sized (stocking stuffer sized) Brainteaser game. My sensory-seeking child really liked the Minion Bop-It on our vacation, since it encouraged him to move is body and focus his mind. Every time the topic of travel toys comes up in discussion, moms recommend Wikki Sticks, which are sticky, moldable strings for creative building and more. Coloring is a classic travel activity- grab this Crayola Art Kit to have all your things in one place. 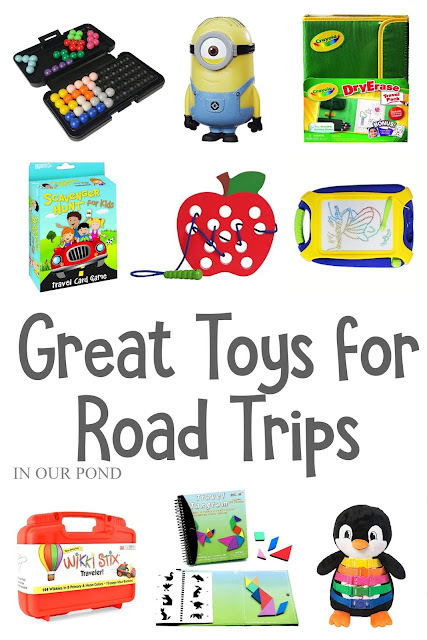 Click on the links to shop these travel toys! 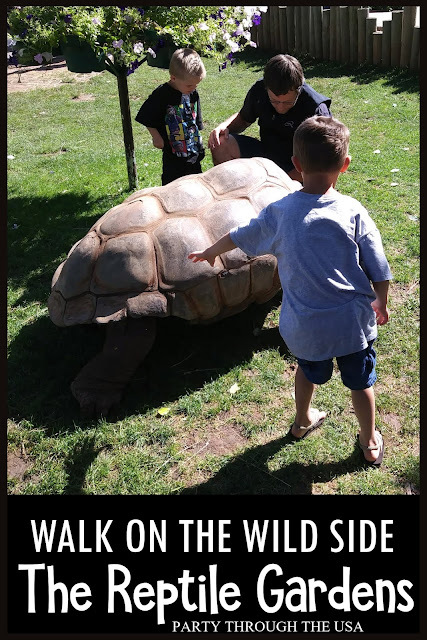 I had the opportunity this week to guest post at 3 Boys and a Dog! 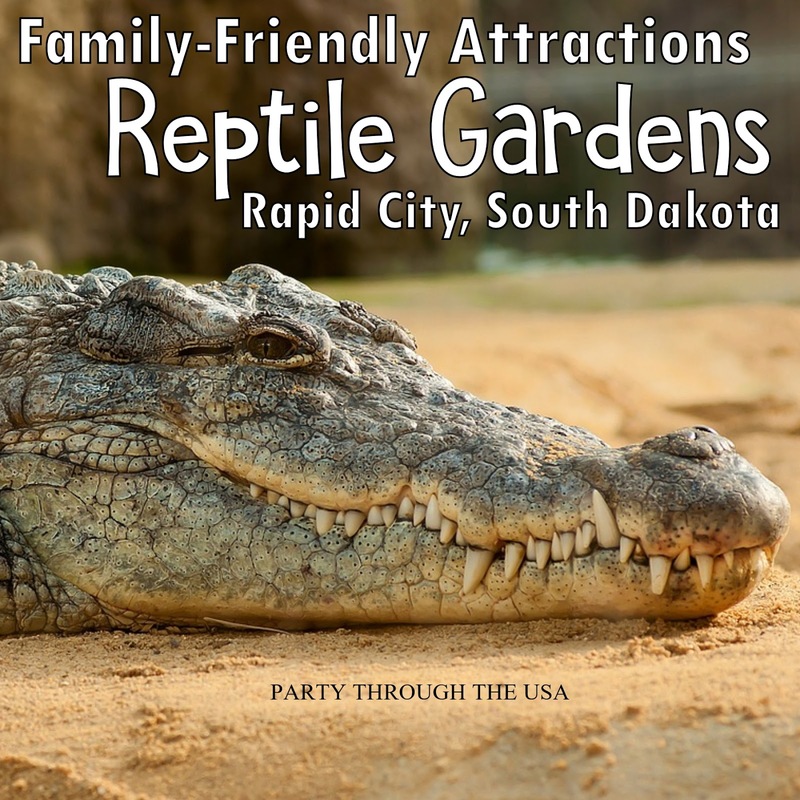 Kelli is collecting family-friendly tourist attractions for all 50 States, which is pretty awesome and inspiring. 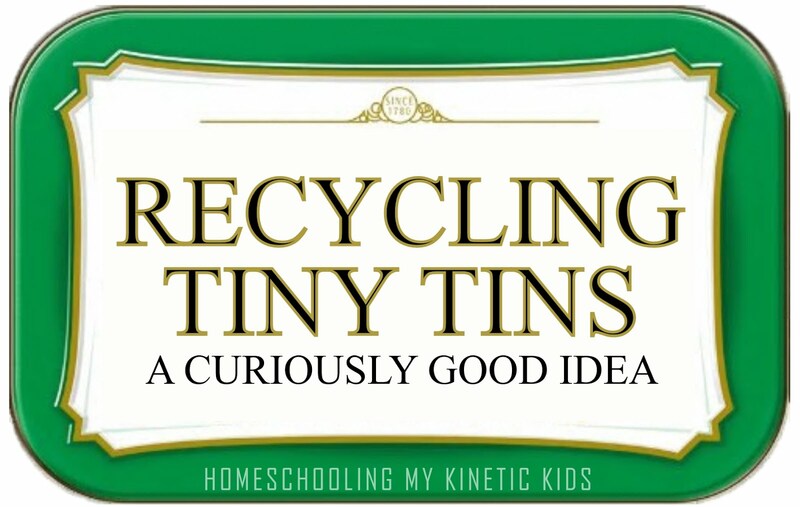 Be sure to visit her blog for more ideas and activities. 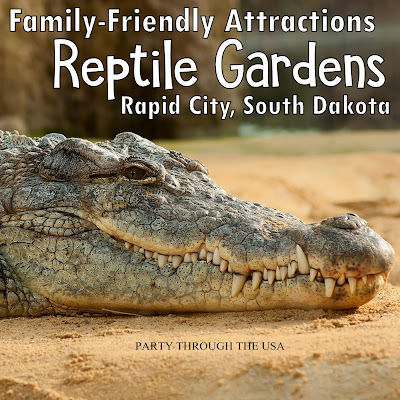 Click the link- See Reptile Gardens in Rapid City, South Dakota -to read the entire post and see lots of pictures!